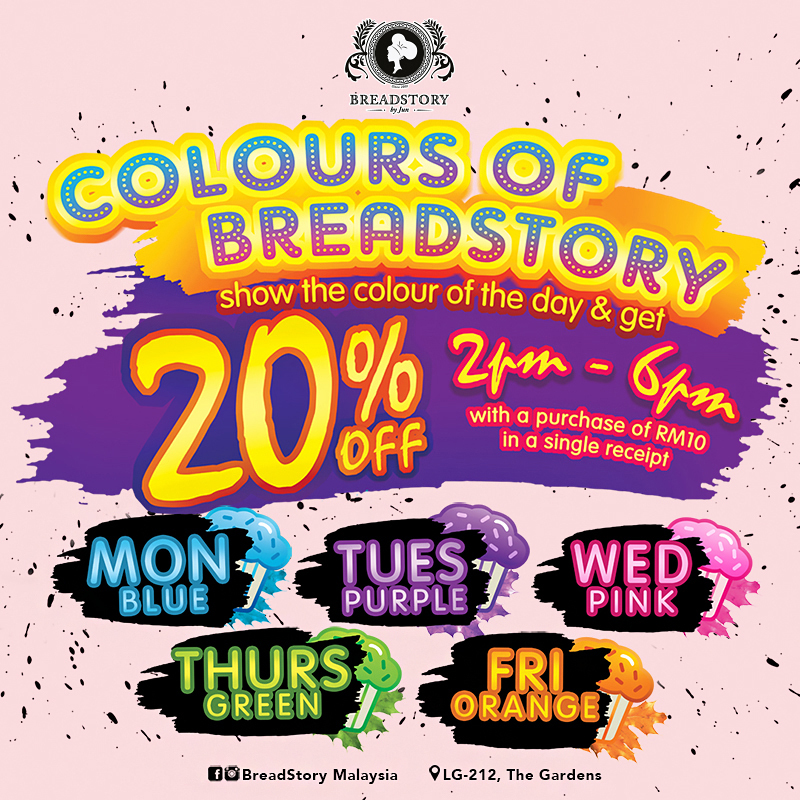 BreadStory will be having their Colours of BreadStory promotion daily from Monday to Friday starting from 26 November 2018 onwards. Show up with the colour of the day to enjoy 20% off with a minimum purchase of RM10 from 2pm to 6pm. Something fun to look forward daily!